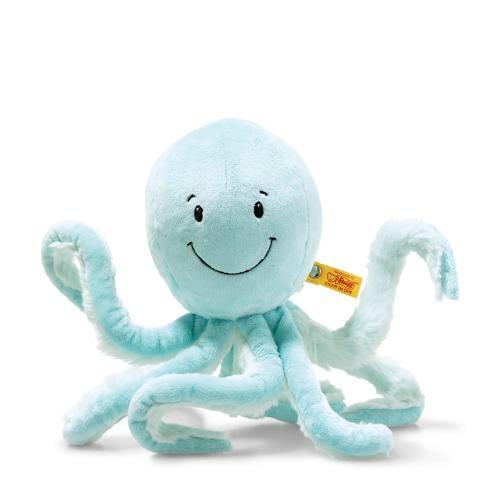 Ockto octopus measures 27 cm and is made of soft cuddly turquoise blue plush fabric. The bright eyes and smiling mouth are embroidered in black stitching and its head keeps its shape due to the bean bag sewn inside. The soft striped tentacles are fun to play with. They are made of long light blue plush fabric on the underside and sewn-in rubber bands. The tentacles spring back when they are pulled and then released.